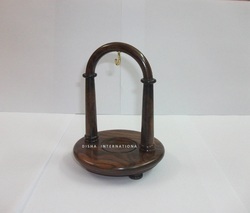 We are manufacturer and exporter of wooden watch stands. we make these stands in different woods with different finish as per buyer's specifications and requirements. We guarantee our products for the international quality and finish to last long life at very economical rates for bulk quantities. We have different designs and versions of watch stands available. 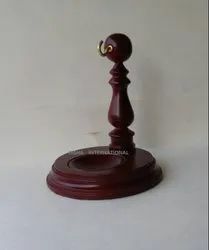 We are manufacturer and exporter of wooden watch stands.We make these stands in different woods with different finish as per buyer's specifications and requirements. 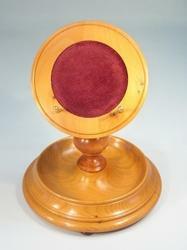 This beautifully handcrafted Wooden Watch Stand is our pride. The perfect combination of economy and quality is found in this stand. It can be made in variety of woods like sheesham, Rose wood, Ebony wood, Maple, Cam or pine. A contemporary and beautifully hand crafted solid oak Watch Stand, designed to display and organise your treasured watches in true unique and timeless style. Our personalised Watch Stand is a brand new design added to our collection. Lovingly handcrafted in our studio workshop, it would make a beautiful addition to any bedroom dresser and a perfect alternative for watch storage to the more traditional Watch Box allowing you to see the watches at all time.